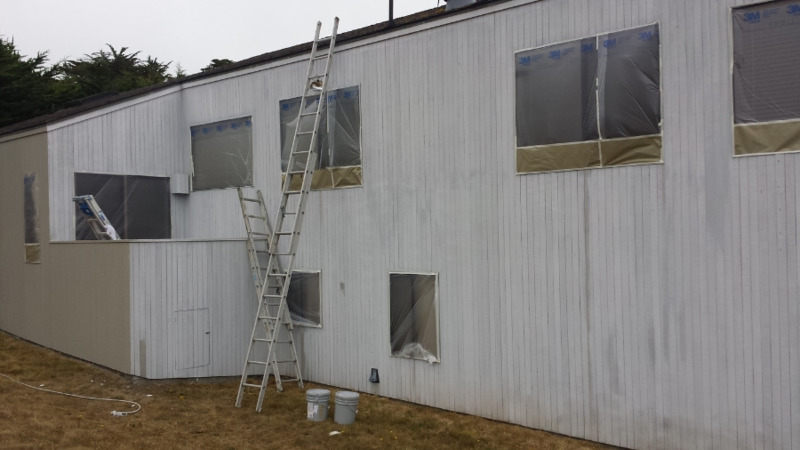 Here is a before and after of an exterior paint job done in Martinez. Here is a couple of before and after pictures of a Sea Ranch vacation home. We stained it with a semi-transparent stain.